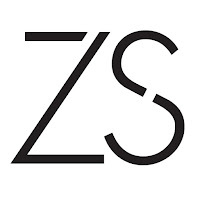 ZS Associates is a sales and marketing consulting and technology firm headquartered in Evanston, Illinois that provides counsel in the areas of product development, strategy creation and planning for clients. It is Founded on 1983. Bachelor's/master's degree with a specialization in Computer or IT, BCA or other computer-related disciplines with minimum 60% marks throughout the education. Software testing experience, preferably in business intelligence domain. Extensive knowledge of ETL/DWH testing and advanced critical thinking skills. Knowledge / exposure to all aspects of SDLC/STLC. Understand the behavior of complex data warehousing and business intelligence solutions and apply that knowledge towards testing. Contribute to a project's overall test strategy and test plan. Create and execute test scenarios; select the best methods, techniques and evaluation criteria for testing. Identify test data requirements and generate required data to support testing. Evaluate and analyze application behavior and data for potential software issues. Clearly report issues found during testing. Create test deliverables required by company and project testing standards. Work collaboratively with other testers, developers and stakeholders. Participate in, and occasionally lead, process improvement efforts.